How have I been lucky enough to come here, to be alive, when so many others are not? I should have died. But I am here. Quick-Thoughts: WWII meets romance and eye-spy. I loved this book! 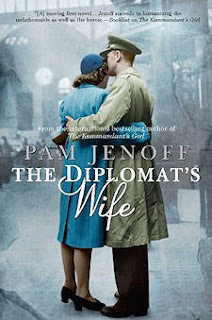 This romance set during World War II is another story about perseverance, hardships, and hope. We see a bit (a lot) of romance, a bit of espionage, and lots of well-developed characters. Though it is a sequel to The Kommandant's Girl, it stands alone quite well. While there are sad moments, it isn't depressing. In fact, I think there are fewer sad moments than other novels set during WWII. The ending is unrealistic and does the whole bow-tieing thing, but I didn't mind at all. Here's an inspiring story, with great characters, and exceptional writing. Read this if you enjoy novels set during World War II and a bit of adventure.